Come and hear powerful and positive stories about action on climate change in Asia. 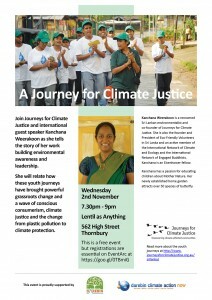 Kanchana Weerakoon’s talk is proudly sponsored by JCJ, Transition Darebin and Darebin Climate Action Now. 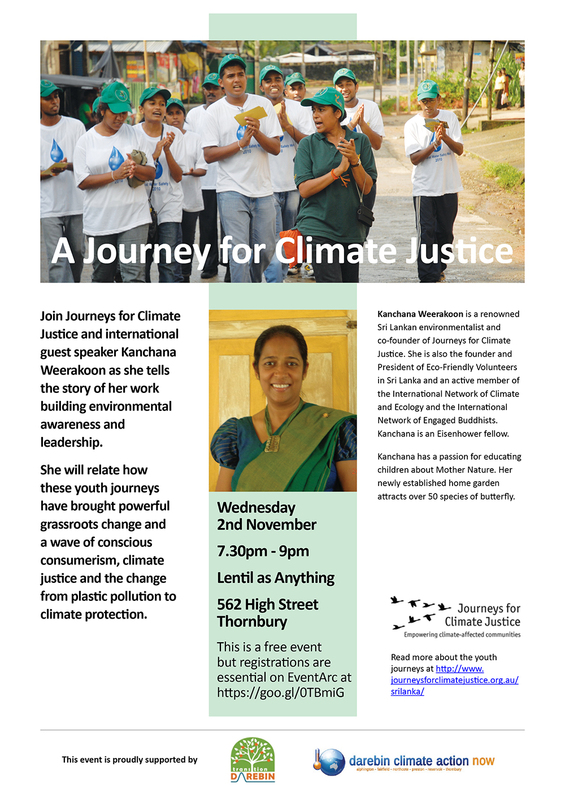 Please join us at 7.30pm on Wednesday 2nd November at Lentil as Anything, Thornbury. Registration on Eventarc is essential. Entry by donation to a JCJ project in Sri Lanka or Bangladesh. Why not eat first in the restaurant (pay what you can) – but note food is not allowed in the Commonground event room.